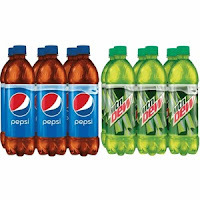 Target has a great cartwheel offer for 25% off on Pepsi 6 pack 16.9oz flavors - valid on Pepsi, Diet Pepsi, Mountain Dew, Diet Mountain Dew, and Sierra Mist flavors. Expires 1/8/17. Limit of 4 per transaction.